If you’ve done any of your homework on SEO you are probably already working on some of the basic search engine optimization strategies we’ve already gone over. While focusing on writing location based content and local business directories improve your search rankings there are a couple key areas that tend to get overlooked. Having your website optimized for local searches can only help increase your business so much if it only displays correctly on a computer. Navigating a desktop version of the site can be very difficult on a mobile device. With the rise of mobile technology, ie. tablets and smartphones, more searches are being conducted on the go. More often than not people are viewing your website on one of these devices. You may end up losing out on sales if it’s hard for customers to find the information they are looking for. They will quickly move on to a website that can more easily be navigated on their mobile device. Make sure your site is build with mobile viewing capabilities. Some people are under the impression that public relations is only needed for large companies, but it could be a valuable source of exposure for small businesses. First of all it doesn’t cost a thing and sometimes can be as simple as shooting an email to a local paper about some exciting news about your business. With the trend in localized interest blogs and news sites, you can easily find people that will jump at the chance to write about your big news if it will provide their audience with engaging content. One great public relations move is to sponsor local community based events, or even to team up with other local businesses. Then you can reach out to those local bloggers, newspapers, or citizen journalist and invite them to cover the event. Or offer to be interviewed for a popular local blog. Just make sure you have something to say that will be exciting or give something of value to the local community. This could give your business a great profile among your community and lead to linkbacks to your site. Large cities are obviously going to have a lot more businesses that provide the same exact products or services. 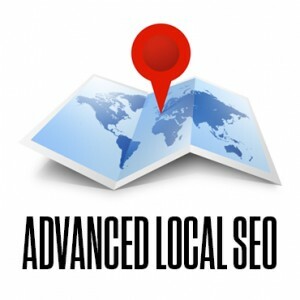 The larger the city you are located in the more results are going to come up when people search for businesses online. To narrow down the results customers may end up searching by neighborhood. If you only have the city listed your business will not come up in those searches. You can more easily target your local customers by including the neighborhood you are located in or cater to in your description or page titles. Don’t forget to include local keywords in other content as well, including the street or nearby landmarks if they are famous or well-known.